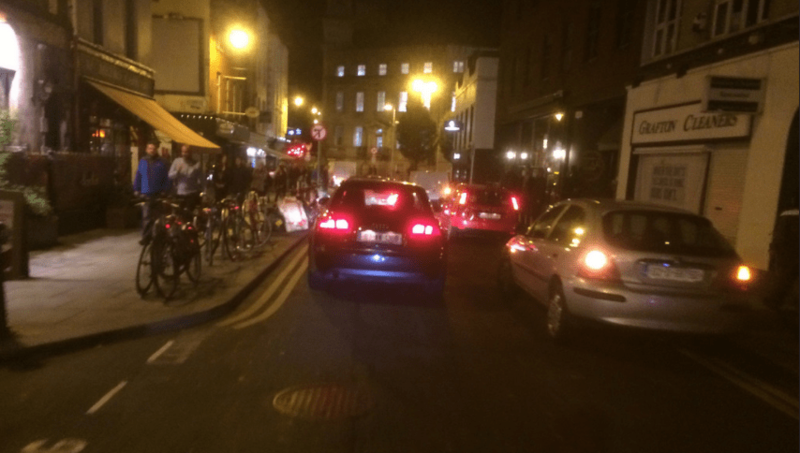 Is it time for a car-free South William Street in Dublin? A trial of part-pedestrianisation of South William Street (a street west of and parallel to Dublin’s Grafton Street) was suggested and supported by small and medium sized businesses in the area, but was shot down because of pressure from the likes of Brown Thomas. With Luas Cross City about to open in December, is now the time to re-examine the suggestion? Why is now the right time and why is it a good idea? The College Green Plaza will mean that there will be less through traffic in the area, and people cycling need be given alterative north-south routes to avoid the Luas Cross City tram tracks as much as possible. 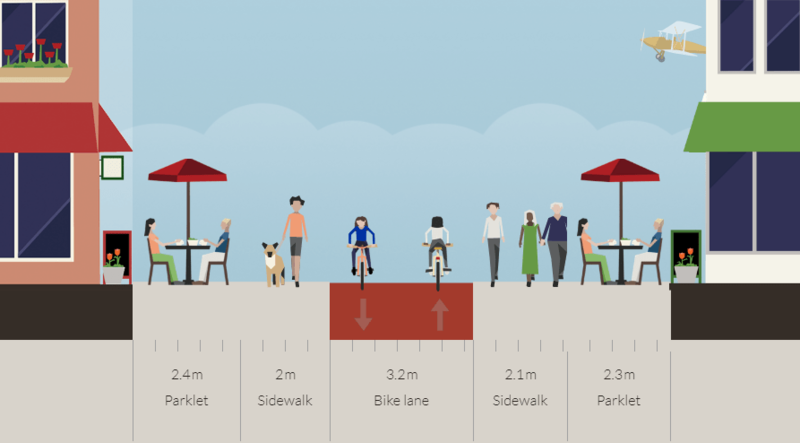 But one of the main reason is the life of the street — people ambling, shopping or meeting with friends or family in the restaurants, cafes, and pubs — is being held back due to the dominance of cars. But why allow cycling at all? 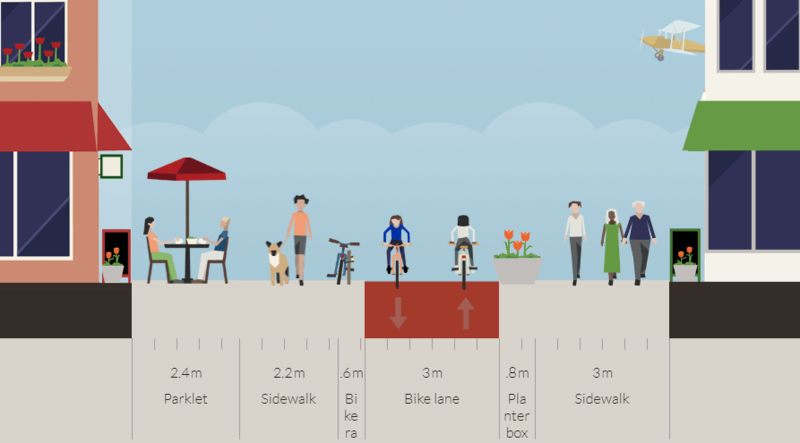 It’s a designated primary cycle route in the Greater Dublin Area Cycle Network for good reason — there is little two-way permeability for cycling between George’s Street and Kildare Street. 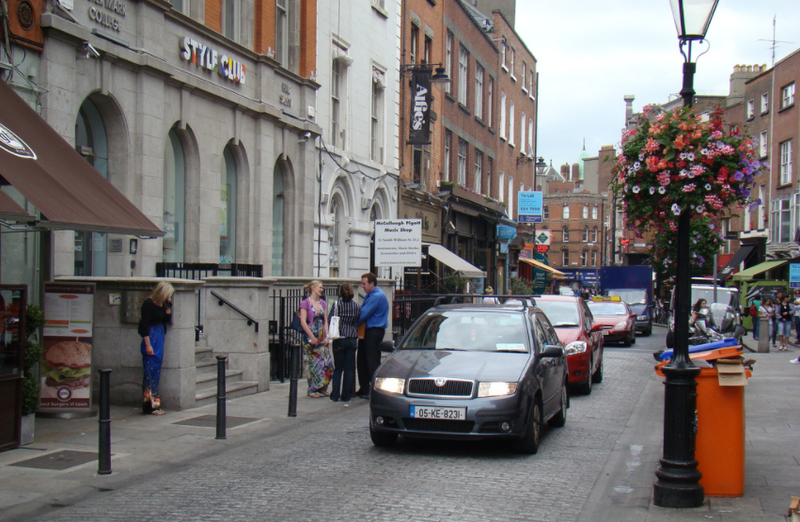 Grafton Street, the Luas tracks and the general lack of permeability is a hindrance to cycling in the area. It would be even better if the flow of cars within the car park was reversed (if it’s possible). It would mean that the red section above keeps the traffic direction flow as is, but it is only for access to BT car park. This would be better for the car park and its users, so that the “out” flow isn’t cross-crossing the “in” flow on the streets around the car park. But this solution would likely require a high level of buy in from the car park owners. 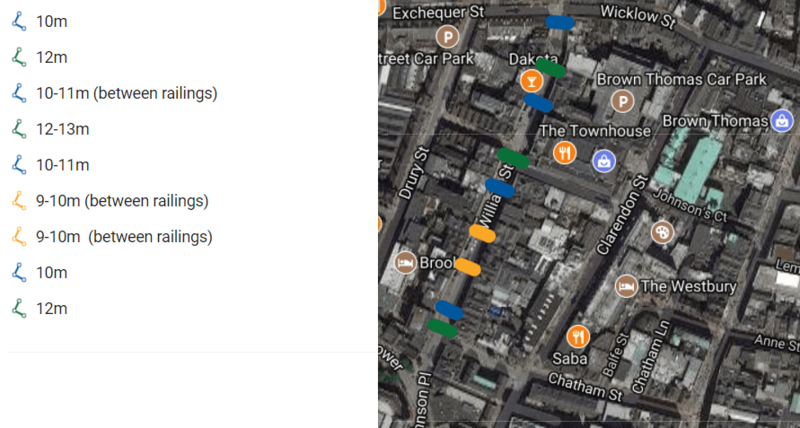 There’s also private car parks under offices on the street, but these are small and in/out access can be maintained via Chatham Street, if needed. 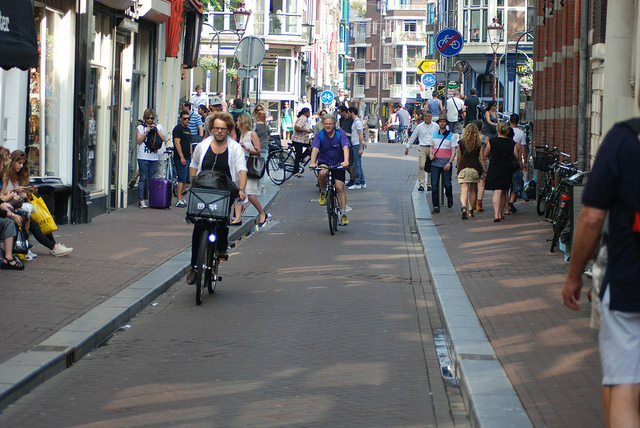 For a street which isn’t a main road, the street is actually fairly wide — generally around 12 metres wide. This image gives an idea of the street’s widths. Also of note is that a lot of the street has private strips of land between the buildings and the roadways. In any case, the section which will provide access to the Brown Thomas car park is one of the narrowest sections, yet you can still fit a lot in it. For example, a layout like one, with just around 19 meters wide. IMAGES: Cross-sections made with streetsketch.mobycon.nl. Good idea + designs look really convincing, Cian! 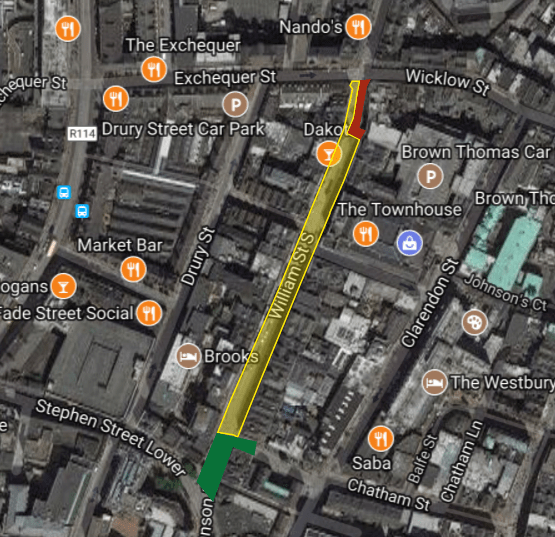 There is absolutely no need for traffic to be allowed on South William Street, but there will still be the usual considerable resistance and lobbying from Brown Thomas and Dublin Town on this, and you can expect it to be quietly dropped in a few months. Why is a fecking car-park company allowed to dictate street usage in the area around it? Seriously…. 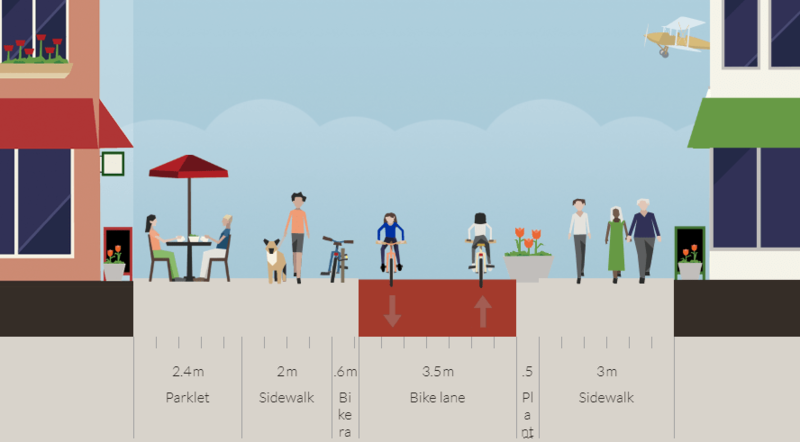 Can’t we as citizens decide what we do with our streets? A big fat stinking yes to this! 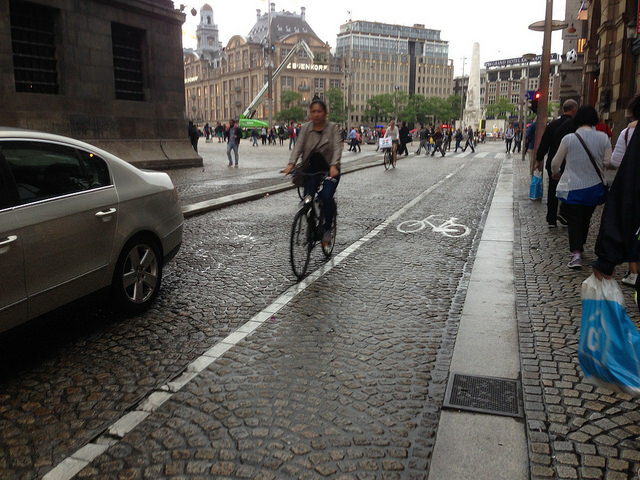 Travelling on foot is always snails pace, and the one way system for bicycles is silly too. Oh Yes!! 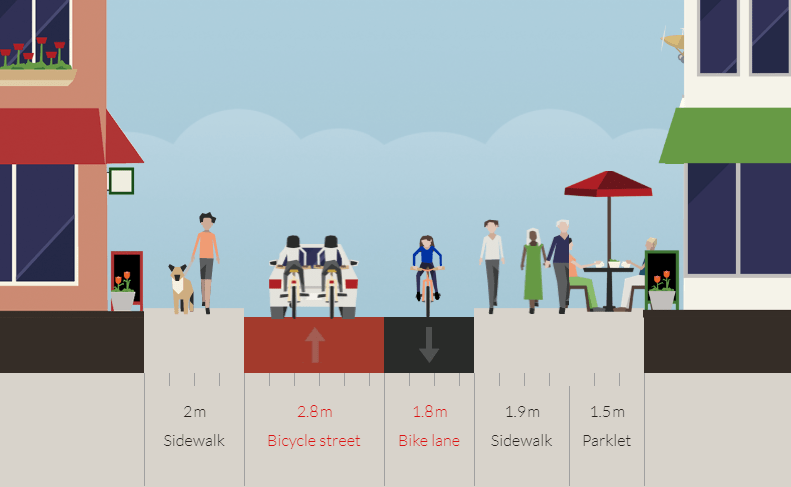 Lets make this happen, sidewalks are too narrow for businesses and pedestrians. Businesses are not able to put tables up front properly, and when walking, you always end up bumping shoulders of fellow walkers trying to squeeze through. South William street is where I would go to meet my friends almost every weekend It could be so much better without the cars. Been talking about it for ages now, great to see this article. They should have banned cars parking on the street years ago for a start. 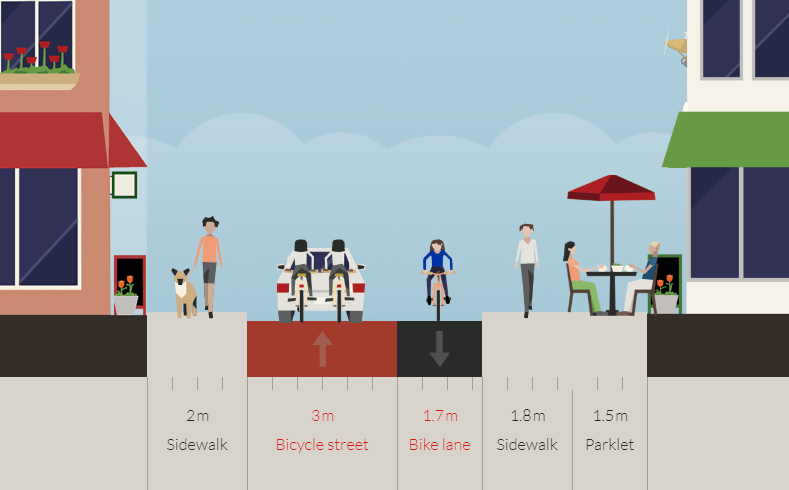 The street is permanently clogged with parked cars, sitting there all day doing nothing, while the tiny footpaths that are ‘transporting’ hundreds of people every day are actually much thinner even than the width of a small parked car. Makes no sense.